With the labour supply continuing to tighten, manufacturers are racing to find the processing solutions that can keep pace with the nation’s growing demand for poultry. Brexit means a lot of things to a lot of people, but to poultry producers right now above all it means uncertainty. One of the most pressing concerns about the post-EU era is the question of where the labour will come from. With the latest government statistics showing net migration from EU countries has fallen to its lowest level since 2009, there are genuine question marks over the poultry processing sector’s labour-sourcing capability. That makes it more essential than ever to accelerate the automisation of an industry that is tasked with meeting ever-growing demand for protein over the coming years. De Weerd explains that the first steps in automated processing often involve scalding and plucking with products shackled to an overhead conveyor, while further steps to reduce the number of operators could involve the evisceration process, semi-automated giblet harvesting, product grading and cut-up. The cut-up and deboning departments need a large amount of skilled staff if they are not automated, according to De Weerd, with Marel’s solutions in that area including the ACM-NT cut-up system featuring a modular configuration using wing, leg and breast-cutting modules to perform skilled cuts that could only be done manually before. In the filleting department, its AMF-i intelligent breast cap deboning system harvests breast fillets and tenderloins, while total leg deboning can be carried out by the Thigh Fillet and Drumstick Deboning Systems. Ishida, meanwhile, is currently going to market with a new weighing, marination, sealing and packing line for fresh poultry, featuring its Orbicote marination system for improved efficiency and consistency. The manufacturer explains that within this line each portion of chicken is accurately weighed using advanced multihead weighing technology. Each portion is then channelled into an individual mini-drum within the Orbicote system, where it is tumbled with a set dose of marinade. As the weighing process takes place before the product is marinated, the waste traditionally associated with this process is avoided. The marinated fresh chicken is then placed into trays and sealed in an Ishida QX-775 Flex tray sealer, a compact machine that offers speeds of up to 15 cycles per minute. With increasing demand for products that look more artisanal and less industrial, Banner says machinery for this purpose is a strong focus of R&D. The FAM Yuran Hytec, for example, is designed to achieve a hand-pulled look with an equal natural appearance, while for fragile product he recommends the guillotine dicer GD500. 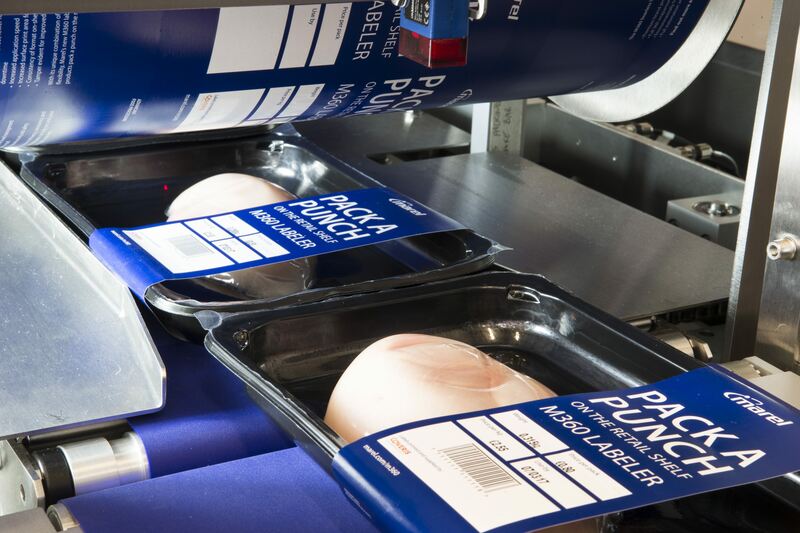 It almost goes without saying that reducing costs is a major aim for poultry processing and packing machinery, and Nielsen points out that this is leading to increasing automation throughout the line. The most recent area to achieve this is in the packing of poultry into trays, he explains, with robot technology such as Ishida’s RobotGrader both grading products as well as picking and placing them into trays. As for the future, could a fully automated slaughterhouse be just around the corner? Machinery specialist Meyn believes that rising consumer demand for high-protein foods is spurring the global market for poultry meat processing equipment, and the company is putting a lot of thought into what that means for processors. Predicting that the market will continue to grow for another 25 years, the company has outlined its dream of a fully automated poultry slaughterhouse. It explains: “One of Meyn’s ambitions is to create a slaughterhouse without any direct human interference by using mechanisation, automation and robotisation, as the character of the work is such that the presence of people is best reduced to a minimum. With the labour situation not likely to get any easier, processors will warmly toast that objective.